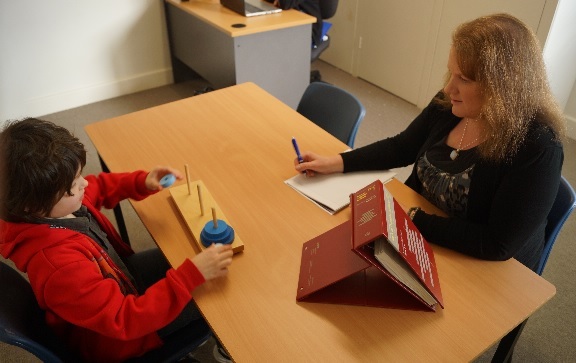 The ENKI centre specialises in assessments for Learning Difficulties/Disorders, Giftedness, ADHD and School Readiness/Grade Placement. If your child is struggling at school a comprehensive psycho-educational assessment can help to gain insight to your child’s unique learning profile and academic capacity. We take pride in the quality our assessments and always have the child’s best interest at heart. Cognitive assessments – to understand your child’s levels of cognitive abilities to assist in making decisions about whether there may be issues of developmental delay or giftedness or simply to understand your child’s intellectual strengths and weaknesses. Educational assessments – to understand your child’s level of academic achievement in reading, writing and maths, including strengths and weaknesses, compared to other’s their age. Learning Difficulty/Disability assessments – to understand why your child might be struggling with their reading, spelling or maths. It includes both cognitive and educational assessment. Further diagnostic testing is often also needed to make accurate diagnosis of specific learning disorders such as dyslexia, dyscalculia, dyspraxia or dysgraphia. This type of assessment is often also used to provide support for applications of special examination provisions. ADHD assessments – to assist your understanding of your child’s difficulties with attention and/or hyperactivity that are affecting their learning. These assessments provide comprehensive cognitive, neuropsychological and auditory test batteries to not only understand whether your child has ADHD but also to understand their strengths and weaknesses so that helpful interventions can be suggested to improve your child’s learning. Social, emotional and behavioural assessments - to understand your child’s level of social, emotional and behavioral functioning. This assessment provides valuable information, in addition to the above assessments, to further understand why your child may be struggling at school, and point to your child’s personal strengths and weaknesses. This assessment is provided free of charge for diagnostic assessments i.e., learning disability, ADHD and school readiness/grade placement assessments. School readiness/Grade placement assessments – to provide useful information for deciding whether your child is ready to enter primary school or whether your child should repeat a year at school. These assessments include cognitive, developmental, gross and fine motor and social-emotional-behavioral functioning assessments, as appropriate. This assessment also includes a letter to the Department of Education to support early school entry if your child is eligible. High Functioning Autism Spectrum assessments - to provide diagnostic information for determining if your child has characteristics consistent with DSM-V criteria for Autism Spectrum Disorder. The centre assesses those children who are high functioning but have concerns about their social and communication development. These assessments include cognitive, developmental and adaptive functioning assessments, as appropriate.